Fact: PMMI, the association for packaging and processing technologies, is a trade association representing more than 700 companies that provide a full range of processing and packaging machinery, materials, components and containers. Fact: PMMI actively brings buyers and sellers together through initiatives such as packexpo.com, educational programs and world-class events, connecting participants in the processing and packaging supply chain with their customers around the world. And Fact! : PMMI produces the PACK EXPO portfolio of trade shows that include PACK EXPO Las Vegas 2015 (Sept. 28–30, Las Vegas Convention Center). The PACK EXPO brings together education, networking and the latest in packaging innovations. Education at PACK EXPO, for example, offers more than 40 free educational sessions on the Innovation Stages that are located on the show floor — Central Hall Booths C-1041, C-1045 and C-1049 and North Hall Booth N-559. The show sports more than 40 vertical markets — and that’s something that makes this event ripe for the cross-pollination of ideas. PACK EXPO Las Vegas and Pharma EXPO Partners Illustrate the Shows’ Breadth. PACK EXPO’s Food Safety Summit Resource Center is a critical resource for expert advice and presentations from industry leaders on the Food Safety Modernization Act (FSMA). The Food Safety Summit sponsors and organizes the Food Safety Summit Resource Center with co-sponsor GE. Networking is an important part of any trade show experience, so be sure to stop by the industry-specific lounges during the show, especially the receptions on Tuesday, Sept. 29 from 3:30-5:00 p.m. For more info, be sure to check out the PACK EXPO website. 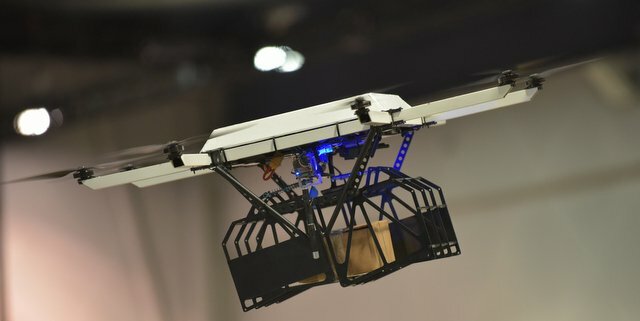 Will drones deliver your beer one day?